Major remodel with multiple additions throughout residence, remodeled kitchen, family room, living room, and dining room, remodeled master bedroom and other bedrooms, remodeled bathrooms and powder room. 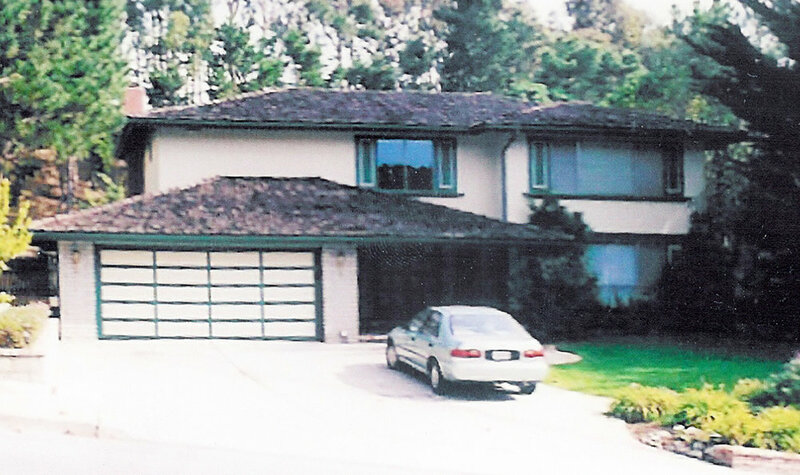 The owner of this single family, San Francisco Peninsula residence desired an extensive whole house remodel and house addition to provide a multi-generational home suitable for entertainment and large family gatherings. The owner wanted to keep the rooms as open and light as possible, and the redesigned home to integrate with the character of other homes in the neighborhood. The owner wanted this major house addition and house transformation to add approximately 1,000 square feet over the maximum allowed by the City. We presented the plans to the homeowners’ association and to the City Planning Commission. The City did grant our application for a variance for the extra space. The owner’s specifications required so much renovation that he was initially advised to tear down the house and start new. At his insistence (not a City requirement), the project was treated as a remodel and addition project. Some space was added at the first story but most of the added space involved second story additions. The renovation was done in a Bay Area craftsman style with traditional classical elements. Four vertical columns on the house front help break up the structure’s visual bulk, with the column detailing carried to the rear. The front entry staircase was a central design feature, therefore we custom designed a stair that floats above the floor allowing for a more spacious feeling in the entry. Quality upgrades to the interior finishes included painted wood trim paneling and details. The main living spaces were expanded and opened up to create a more spacious floor plan. Two family rooms were created and a portion of the kitchen was built into a large bay window area to connect with the rear garden. All bedrooms have a vaulted ceiling. Special custom designed detailing was integrated throughout the house, with special borders on the hardwood flooring, handmade tiles in the bathrooms, and limestone finishes used in the master bath and powder room. The traditional craftsman and classical style of the ronovated home keeps with the flavor of the surrounding neighborhood. The owner and his immediate and extended family occupy the home, which allows for entertaining and meets the specific social, physical, and cultural needs of the family. The open flow between all rooms and vaulted ceilings contribute to the overall spaciousness and extensive light throughout the home. There are two family rooms and a prayer room, and the guest room was designed to accommodate the future needs of the owner’s parents. Extensive multi-media systems are integrated throughout the house, including hi-fi music in all rooms and two large screen TV units and one projection screen system with surround sound, while every bedroom is wired for a computer network and telephone. Along with the structure of the house and rooms, these features provide family members multiple spaces in which to socialize, as well as private places to work, play, or relax.